The post-by-email feature in Facebook Groups has opened up a new wave of security concerns as The Next Web has reported how the feature can be easily abused by hackers. 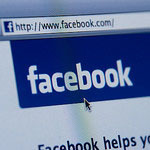 The feature could allow an online attacker to post pictures or plain text as anyone that is a member of any given Facebook group. In order to do this, the hacker would only need access to a local SMTP server and would need to know what your email address for your Facebook log-in is. “By enabling verification of a security token: Facebook may give you one security-token which will be known by you and YOU ONLY, and you will have to include it somewhere in the mail (body/subject) while using this ‘POST BY EMAIL’ feature. Once they verify it as you, they will allow that post to go to the group wall. Hopefully Facebook will act soon to solve this issue. What other simple steps could Facebook take to lock down its users’ privacy?